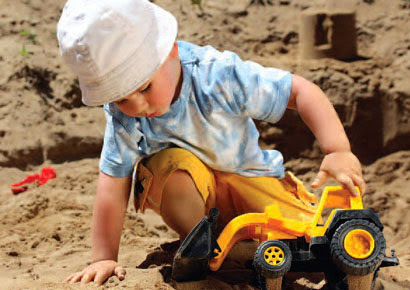 NESSAS CHILDMINDING SERVICES: How safe are your child's toys? Most children’s toys in the UK are actually very safe. Accidents tend to happen either when a young child plays with a toy that is meant for an older child, or because toys are left out and cause trips. But accidents can and do happen. Find out how to put a few simple safety measures in place to prevent your child having an accident with a toy. Always try to buy from a specialist toy shop or a well-known high street chain. Avoid markets or temporary shops - take care with second hand toys. A toy library can be a safer option – find out if there is one in your area. Ask for advice from the sales staff if you’re not sure what to buy, and look for safety and age warnings. Check the toy to make sure it is well-made and won’t break easily. Age warning symbols show that a toy is not safe for children under three years old. A warning is often given because toys contain small parts that a baby or young toddler could choke on. These warnings are different from age guidance – see section on choosing the right toy for your child’s age. The Lion Mark is a good way of finding a safe toy. Toys with this mark have been made to the highest standards of safety and quality and the mark is used by members of the British Toy and Hobby Association. You might also see the CE mark on toys. This mark is required by law on all toys sold within the European Union. Most toys have a suggested age range on the packaging; however, these are usually only for guidance. Babies under a year should not be given toys with long fur or hair that can cause choking. Think about what your child is able to do and what they will find challenging. They won’t play with a toy for long if they find it too babyish or too difficult. Don’t let young children play with their older brother’s or sister’s toys. Something that is safe for a six or seven year old can cause serious injury to a toddler. Watch out for magnets on toys as they can cause serious problems if swallowed. Some toys for younger children require adult supervision, like baking kits or toys used in water. Make sure you are always there when they are used. Don’t buy a bicycle that is too big. Make sure your child can place the balls of their feet on the ground when sitting on it and can comfortably reach the handlebars and squeeze the brakes. Teach children to put their toys away after use. Most accidents involving toys happen when children and adults trip over them. Serious accidents can happen if toys are left on the stairs. Throw away broken toys rather than giving them to charity or a jumble sale as they can be dangerous. Avoid mixing old and new batteries in toys as old ones can overheat. Throw away burst balloons immediately as they are a choking hazard, especially for pre-school children. Cot toys are a good way of keeping babies stimulated but remove them as soon as your baby can sit up or get on all fours. Babies can be strangled on cot toys if they fall on the strings. They can also use them to climb out of the cot. Noisy toys like cap guns can damage hearing. Never allow children to hold them near their own or anyone else’s ears. Kites are a great way of getting children out in the open air and can be a lot of fun. Make sure they are not used near overhead power lines and be careful that your child cannot become entangled in the strings. Garden toys such as swings should not easily tip over. Use them over soft grass or soil. Make sure there are no hard edges, spikes or glass where children might fall. Regularly check fastenings, ropes etc. for looseness and wear. Paddling pools must be emptied after use and either put away or turned upside down. A small child can drown in just 5cm (2”) water – this depth can easily collect in an empty pool left out in the rain. Chemistry sets are only suitable for children over ten. Follow the age guidance carefully and make sure you are nearby in case there are any problems.